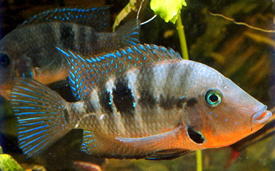 The Firemouth Cichlid also known as the Thorichthys meeki. 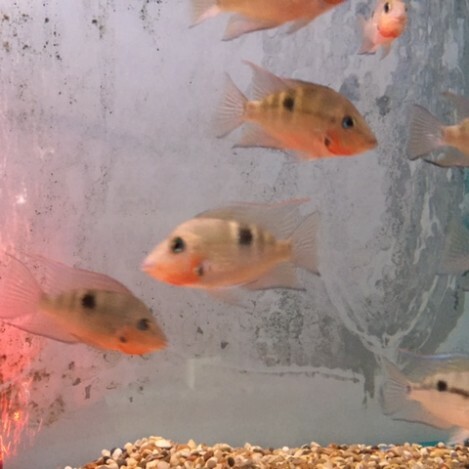 They are best kept in water parameters of PH level of 6.0 – 7.0. Temperatures of 24 – 27 Celsius / 75 – 80 Fahrenheit. They can grow up to 6 inches fully grown. 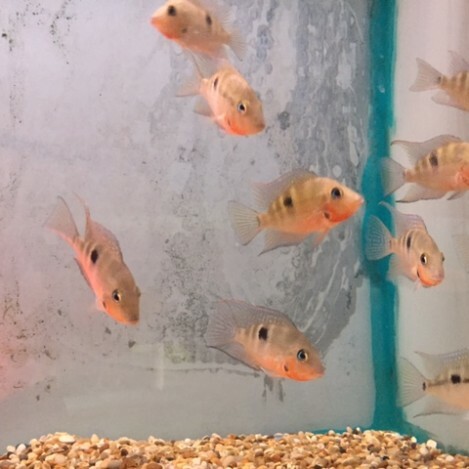 The Firemouth cichlids are not a massively aggressive cichlid, but they are still best mixed with bigger fish, as they will eat smaller fish that will fit in there mouths. They are best in pairs or in groups as on there own they can be shy. They do not get to a big size but they still do require some room to swim about, and they do also like some where to hide.